Funny what you find in a top-rated, university-backed medical research facility. Man, those eMacs. Still plugging along. Posted by davelawrence8 at 8:48 am on August 20th, 2012. No comments... » Categories: lowend, macs. 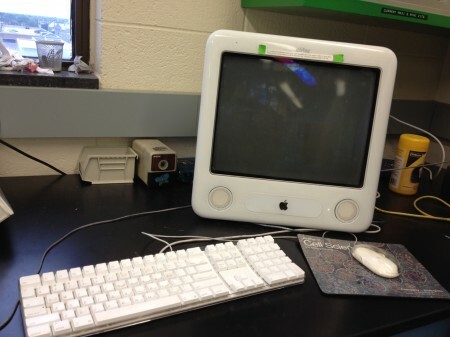 Tags: emac, low end, mac, research. Subscribe via RSS. The main reason I’m surrounded by vintage tech in my studio is that these machines still serve a purpose. The fact that ‘progress’ has obsoleted them does not mean they have stopped being useful. Amen, of course. Mori’s posts is a good part two to my On My Mac Hobby. We all do this stuff for varying reasons. Isn’t it funny how sometimes we feel the need to defend our interests? Posted by davelawrence8 at 8:08 am on July 9th, 2012. No comments... » Categories: lowend. Tags: low end, mac, system folder, tech, vintage. Subscribe via RSS. How fun: a site dedicated (more or less) to classic Mac graphics. The Vintage Mac Museum is in Japanese, but for us English speakers it’s still navigable. The author, Motohiko Narita, posts photos of projects, too, which are a hoot (check out that vertically-aligned monitor for the Mac IIci!). Lots of fun to poke around, and a great resource for classic Mac graphics. Posted by davelawrence8 at 6:46 am on June 14th, 2010. No comments... » Categories: lowend, macs. Tags: classic, low end, mac, museum, vintage. Subscribe via RSS. Riccardo Mori over at System Folder had a neat idea: post Mac users’ classic setups using low-end hardware. His first profile comes from Stories of Apple author Nicola D’Agostino, who uses two PowerBook G3s – one running OS 8.6 for scanning and the other sporting both OS 9 and OS X 10.4 for music. It’s great to see recent-era classic Macs still in everyday use, and I look forward to see who else shares their classic setup with Mori. Posted by davelawrence8 at 2:36 pm on March 16th, 2010. One comment... » Categories: lowend, macs. Tags: blog, classic, G3, low end, powerbook, setup, system folder. Subscribe via RSS. Quote of the week: anything newer? - David Kendal, my podcasting buddy, with a good pre-emptive piece that nicely accompanies my rant from the other day. Posted by davelawrence8 at 7:27 am on March 5th, 2010. No comments... » Categories: lowend, macs. 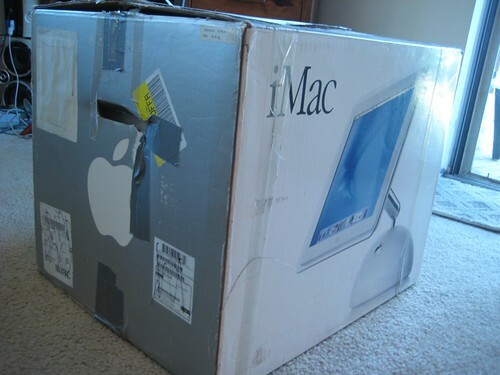 Tags: classic, david kendal, hello show, imac, low end, mac, powerpc. Subscribe via RSS. 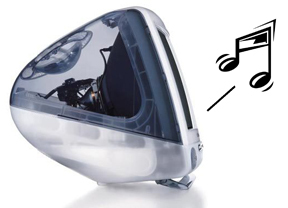 I was in the middle of recording my vinyl Steely Dan albums to iTunes when it hit me: Why not turn the iMac into a digital jukebox? I could hook it up to my home stereo with a stereo mini-jack-to-RCA cable and have any song in my collection available to listen to. I could even use the iTunes database to customize song selection. And, of course, there is always shuffle. Totally geeky, and totally fitting with his theme of using old-school Macs in these weird times. Posted by davelawrence8 at 6:37 am on December 3rd, 2008. 2 comments... » Categories: lowend. Tags: DIY, G3, imac, itunes, jukebox, low end, music. Subscribe via RSS. Out of the box: iMac G4 arrives safe and sound. Well look who showed up. After a UPS mis-delivery, a neighbor hunt-down, and a package found safe and sound, my iMac G4 has finally arrived at my doorstep. I can die a happy man now. Posted by davelawrence8 at 2:05 pm on August 27th, 2008. 19 comments... » Categories: lowend, macs. Tags: apple, ilife, imac g4, low end, magic eraser, OS X, panther, tiger. Subscribe via RSS. AT&T retail stores in Manhattan aren’t yet feeling the affects of the shortage, though Apple’s online store is also reflecting an approximate 1 week delay for all new orders, suggesting that considerable backlog currently exists for whatever reason. Glad I won’t be going there to buy mine. I just hope Ann Arbor doesn’t run short. Neat piece from Low End Mac, although I think Steve asks for too many Macs. I like the current lineup, and liked the four-quadrants (pro/consumer/desktop/notebook) lineup even better. Sure, it’s the only Mac tablet for now, but this baby is certain to give anyone who dabbles in the dark graphical arts exquisitely rendered heart palpitations. Posted by davelawrence8 at 6:49 pm on March 25th, 2008. No comments... » Categories: apple, ipod/iphone, lowend. Tags: apple, iphone, low end, messagepad, modbook, New York, newton, NYC, shortage, tablet. Subscribe via RSS.